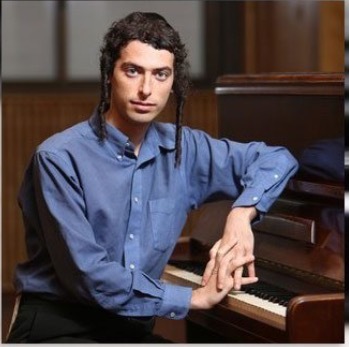 The 31-year-old victim of a deadly hit-and-run accident on the first night of Sukkos has been identified as Chaim Tukachinsky Z”L, a charedi pianist. 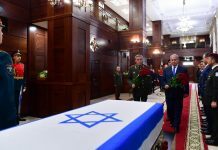 Tukachinsky was killed at around midnight Sunday when a vehicle driven by 50-year-old Spanish journalist Julio De La Guardia struck Tukachinsky. De La Guardia was later found to have been driving under the influence of alcohol, and was taken into police custody. 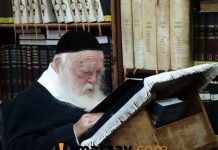 The accident occurred while Tukachinsky was walking back from Maariv at the Kosel. De La Guardia hit and killed Tukachinsky at Paris Square in the capital, then drove off. Police later identified the car involved and located and arrested De La Guardia, who confessed during questioning to both drunk driving and the hit-and-run accident. His blood alcohol level was shown to be more than three times the legal limit. Tukachinsky was a graduate of the Jerusalem Academy of Music and Dance, where he studied both piano playing and composition.